As you enter the motel you're greeted by the young Miss Pauline, "Welcome to the Bilingsgate Motel, what can I do to help you?" You examine the room around you, it looks and feels like your average motel, but you know better. Pauline waits for your response with a smile, you had received a text from Winnipeg It contained a code phrase: " Insanity wears a mask. " You look over to her and speak the phrase, she continues smiling as she hands you a pamphlet that displays the rooms. You carefully choose one then she hands you a key and says "Your discretion is our guarantee." Waiting on the bed of you're room is another pamphlet, this one containing a list of "employees" and phone numbers. You scan it over, call a number and in a few minutes you a greeted by your chosen "employee". You're stay at the Bilingsgate Motel has just become one of infamy, In a good way. ~Illegal Work~ What a Brothel is essentially built upon, honestly I don't know why they made these thing illegal, they are prime cash flow. When people say the governments all about money you can think twice because if they were these things would be on every street corner. 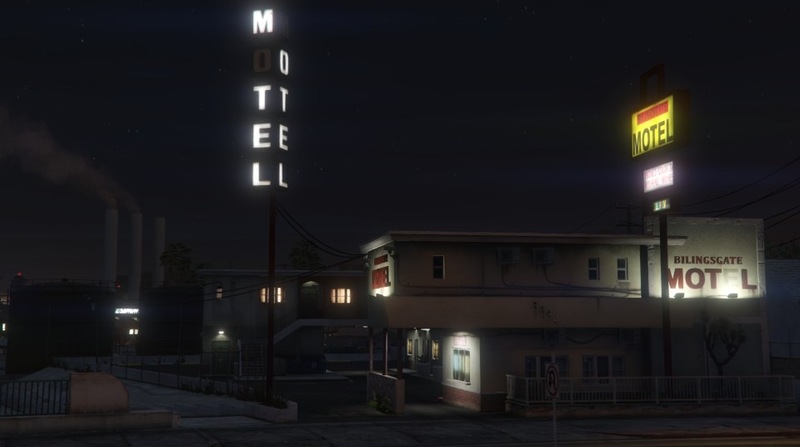 Anyways, lets first tell you some basic rules: DO NOT BRING HEAT TO THE MOTEL, DO NOT START OR BRING A GUNFIGHT TO THE MOTEL. Now that we have those out of the way, I can get into specifics. Alcoholic Beverage Acquisition: Now, I know what you're thinking 'You own a liquor hole why don't you just get alcohol from there' I do it's just that I order a normal amount for a motel, which isn't a whole lot. So I'm gonna need you to bring in any alcohol delivery vehicles or alcohol cases you can 'find'. Escorting: Sometimes clients are just too f*cking lazy to leave their homes, so they'll make a call to have one of our girls delivered to their residence. That's where you come in and make sure our girls are either delivered their safely, or brought back safely. People enjoy options, People enjoy variety, When people enjoy things, they'll put more money towards it. So naturally, More 'employees', more options, more variety, more money. You get the gist of it? 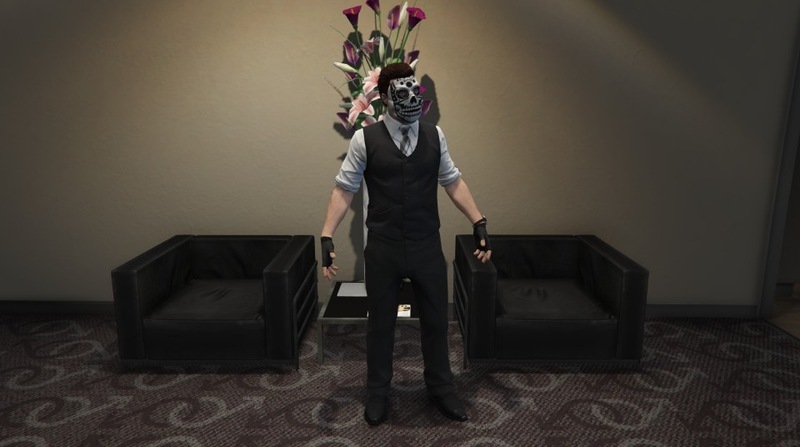 I'll need people to go out to the Sprawling streets of LS and scout for prodigy girls who could make us some serious cash. These jobs will mostly be given to specific people directly but there will be the occasional pin up on the notice board. Building a Clientele: To quote a great brothel manager, 'The only way a brothel will strive is on horny, rich, nasty perverts' Aaah, don't you just love that quote? Anyways, sometimes it can be hard to find these people on my own. So sometimes, I may just ask you to help find these clients for us, or I might just ask you to meet them and make sure they're not a narc. These types of jobs will also, mostly be given out to specific people but there may be one or two up for grabs. Oh and one last thing that I cannot stress enough, DO NOT TREAT MY GIRLS LIKE PRODUCT, THEY ARE RESPECTED MEMBERS OF THIS ORGANIZATION. ~Legal Work~ Now I hope you already knew this, but in case you don't let me tell you. There aren't many legal things to do with a brothel, in fact the only legal job that I positively have for you is protecting the motel and it's 'guests'. DO NOT treat my girls like product, they are respected members of this organization! When you decide that you may want to do some work that mostly abides to the law, It becomes necessary for you to suit up in the signature Bilingsgate attire. Accessories are optional and are up to you, but word to the wise, a Bright purple or green baseball cap might not be the best choice. Finally, you shouldn't need to wear a mask because the work you're doing is legal, I do because well that's me. Last Edit: 5th Jul 2015 by Austin "Winnipeg"